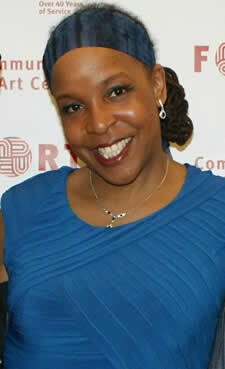 Kheli Willetts ’92, G’94, G’02, executive director of the Community Folk Art Center (CFAC) and professor of practice of African American Studies (AAS) in Syracuse University’s College of Arts and Sciences, is one of three scholars elected to the Association of African American Museum (AAAM)’s board of directors. A longtime Syracuse faculty member and administrator, she will serve a three-year term on the AAAM board. Launched in 1978, AAAM supports African- and African American-focused museums nationally and internationally, as well as the professionals who protect, preserve and interpret African and African American art, history, and culture. Its membership includes 300 black museums and hundreds of museum professionals employed in various museums across the country. Willetts is also vice president of the New York Consortium of Museums and Art Centers Board of Directors and serves on the board of Syracuse’s Arts and Cultural Leaders Alliance. She is a grants panelist for the New York Council on the Arts, Institution of Museum and Library Services and Cuyahoga Arts Council in Cleveland (Ohio). Willetts earned a Ph.D. in teaching and curriculum and a master’s degree in museum studies from Syracuse University.